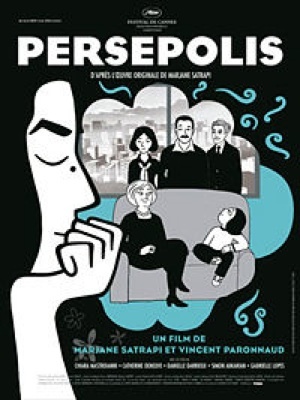 Persepolis is an animated film based on Marjane Satrapi’s life as a young Iranian. It follows her family’s story from their hopes for change after the deposition of the Shah in 1978, through the years of repression under the Islamic Republic, the rule of the mullahs. I was intrigued to learn that in translating her graphic novels into black and white animated film, the author drew inspiration from the German expressionist cinema of the 1920s and the Italian neo- realist cinema of the 50s. 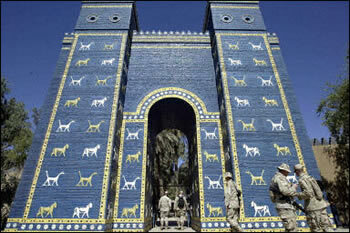 At appropriate moments the decorative style of the Persian miniature tradition is also in evidence. Blended in the service of the story, these influences create a visually stimulating artistic whole. In a series of sharply dramatic episodes, shot through with heartache and humour, we follow Marjane from her precocious childhood to inevitable exile from the country she loves. At the same time we are offered an insider’s view of recent Iranian political history. Seeing this film led me to question whether we sufficiently value the relative social and political freedoms we are offered in Western Europe. How precious these are and how they deserve to be safeguarded…. At the same time the film vividly illustrates that to live in the prevailing culture, or rather lack of it, here in the West, without moral compass and the support of friends or family, is to be adrift in a wasteland. See the official website about the making of the film.